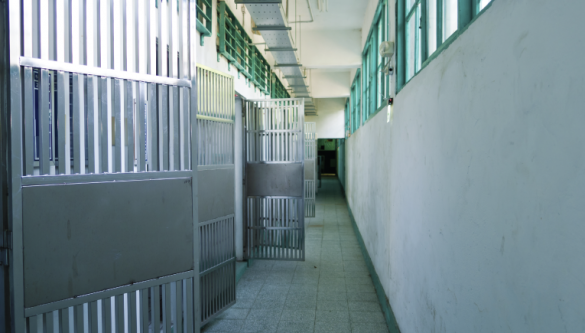 At Dui Hua, we focus on four areas, with an aim to help at-risk detainees: political and religious prisoners, juvenile justice, women in prison, and selected issues in criminal justice. Here’s how we’re inciting positive change in each area. Dui Hua’s prisoner-advocacy work began after the Chinese Army’s attack on protesters at Tiananmen Square, and has since broadened to encompass all individuals detained for the non-violent expression of their beliefs. 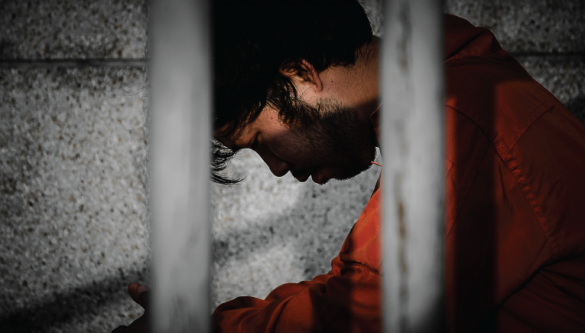 Political and religious prisoners as at-risk detainees, who are often mistreated by authorities who interpret these prisoners’ claims to innocence as “unwillingness to reform.” What’s more, these prisoners are subject to “strict handling” when it comes to sentence reduction and parole. International exchanges, including those organized by Dui Hua, have played an important role in the development juvenile justice reform. Since amending its criminal procedure law in 2013, Chinese courts have emphasized the importance of an independent and standardized juvenile justice system that puts “education first” and includes mentoring, criminal record sealing, social inquiry reports, and the presence of female staff while young women are questioned. In 2011, China amended its Criminal Law to recommend suspended sentences for youth who commit minor offenses. International exchanges, including those organized by Dui Hua, played an important role in the development of these reforms. While China’s attention to juvenile justice has resulted in many positive reforms, partnerships and further innovation are necessary to ensure their successful implementation. For people in custody, Chinese law requires juveniles to be held, managed, and educated separately from adults; however, it is quite common for juveniles to be held with adults in detention centers, and in some locales, female juveniles serve custodial sentences in adult women’s prisons. 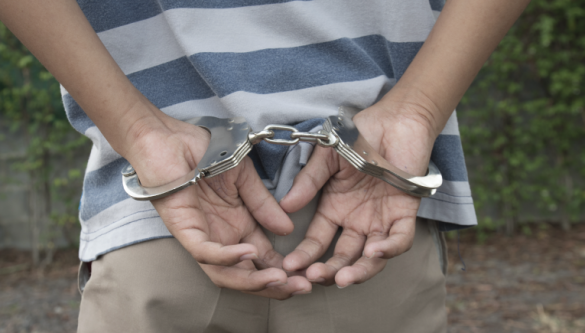 Dui Hua advocates for a juvenile justice system that addresses the root social causes of juvenile delinquency and emphasizes non-custodial measures. Legal scholars and legislators in China have acknowledged that poverty does influence juvenile delinquency. Hubei and Shaanxi provinces have also introduced legislation to protect at-risk populations such as migrants and “left-behind children.” The inequities faced by China’s youth runs deep and legislators are right to attempt to protect this particularly vulnerable population. Non-custodial measures are crucial to help juveniles avoid re-offending, ensure their healthy development, and facilitate their positive interaction with the community. The United Nations Standard Minimum Rules for the Administration of Juvenile Justice (the Beijing Rules) call for the least possible use of custodial punishment, noting that it is less effective and much more harmful than non-custodial punishment. While non-custodial measures are possible for juvenile offenders, obstacles remain. Violent crime committed by juveniles is increasing, offenders are getting younger, and public calls for a more punitive juvenile justice system are on the rise. Dui Hua will continue to advocate for non-custodial punishment and contribute to the establishment and growth of social services especially for underserved groups like migrant juveniles. The number of women in prison in China has doubled since 2000. 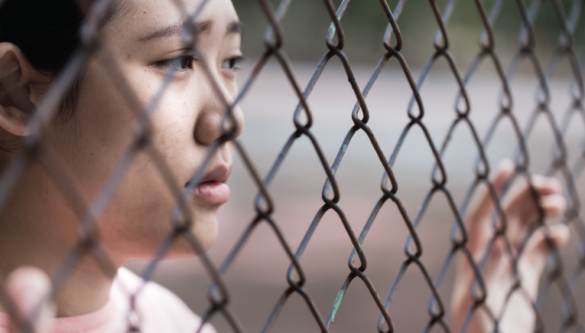 Dui Hua aims to increase dialogue and exchange on incarcerated women in an effort to promote better treatment of women who are suspects, defendants, or prisoners. China’s first Anti-Domestic Violence Law came into effect on March 1, 2016. Although the law does not take into account some important areas such as sexual abuse and violence between divorced couple, for the first time, the law defines domestic violence and addresses an issue long considered a private and domestic matter in China. Women who defend themselves in domestic violence cases can face severe punishment ranging from 10 years’ imprisonment to death. The Supreme People’s Court estimates that domestic violence occurs in approximately one quarter of Chinese families and that nearly 10 percent of intentional homicide cases are related to domestic violence. It is a leading cause of the rising number of women in prison in China, which has nearly doubled since 2000 and has reached 107,131 in 2015. In order to protect internationally recognized human rights and ensure the humanitarian treatment of people at odds with the law, Dui Hua focuses on criminal justice issues ranging from criminal procedures to capital punishment. When there is little presumption of innocence and much support for retributive justice, everyone in conflict with the law is at-risk. To protect internationally recognized human rights and ensure the humanitarian treatment of those in conflict with the law, Dui Hua monitors and conducts research on criminal justice issues ranging from criminal procedure to capital punishment. Dui Hua has paid particular attention to reform of China’s Criminal Procedure Law (CPL). For the first time in 16 years, the National People’s Congress passed amendments to the law on March 14, 2012. Effective January 1, 2013, the law strengthens procedural protections for the majority of suspects and defendants, while further consolidating a separate, less-regulated criminal justice system for those accused of state security offenses—often used against people exercising their rights to free speech and association. Of the most worrying distinctions in treatment for political prisoners are the “disappearance clauses,” which allow those accused of state security offenses to be held in an undisclosed location for up to six months. Dui Hua has actively promoted China’s death penalty reform since 2007, when Executive Director John Kamm chaired a plenary session on China at the World Congress Against the Death Penalty in Paris. While the actual number of annual executions remains a state secret, Dui Hua publishes periodic estimates of the number based on its research. The number of executions has dropped significantly since the Supreme People’s Court regained the power to review all death sentences in 2007. In early 2017, the foundation estimated that there had been 2,000 executions in 2016. Dui Hua maintains a Death Penalty Log, which was expanded in 2016 with the acquisition of materials from a Supreme People’s Court website that recorded the results of death penalty reviews from 2013 to 2015. Dui Hua researchers have estimated that the average length of time a person sentenced to death waits until execution in China is two months. This period, longer than originally expected, provides a window for interventions. The Economist has called Dui Hua’s research on the number of executions in China “the best figures available”.